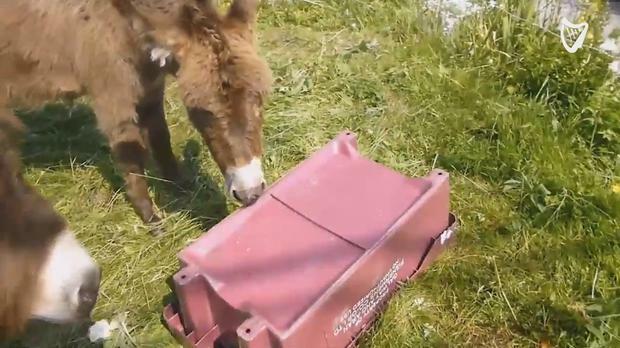 WATCH: Is this donkey Ireland's biggest Taylor Swift fan? A devoted Taylor Swift fan is hoping to get the singer's attention with the help of her pet dokey. Swift is set to bring her Big Reputation tour to Croke Park next month and Róisín Seoighe is hoping to impress her. Róisín, who is from Connemara, explained that her brother has taught their donkey Blathin to "find Taylor", by flipping over boxes with her nose! The Leaving Cert pupil, told Independent.ie: "I have been a massive Taylor Swift fan for years. "Lots of people will be trying to get her attention when she comes to Dublin and my brother thought this might work." Independent.ie Newsdesk LUCKY passengers got stellar in-flight entertainment thanks to these young musicians who put on a trad performance mid-air. Kathy Armstrong AN IRISH woman's reaction to a great white shark swimming near a popular beach has gone viral. Independent.ie Newsdesk He’s best known for reporting on events in Leinster House on the TV need.